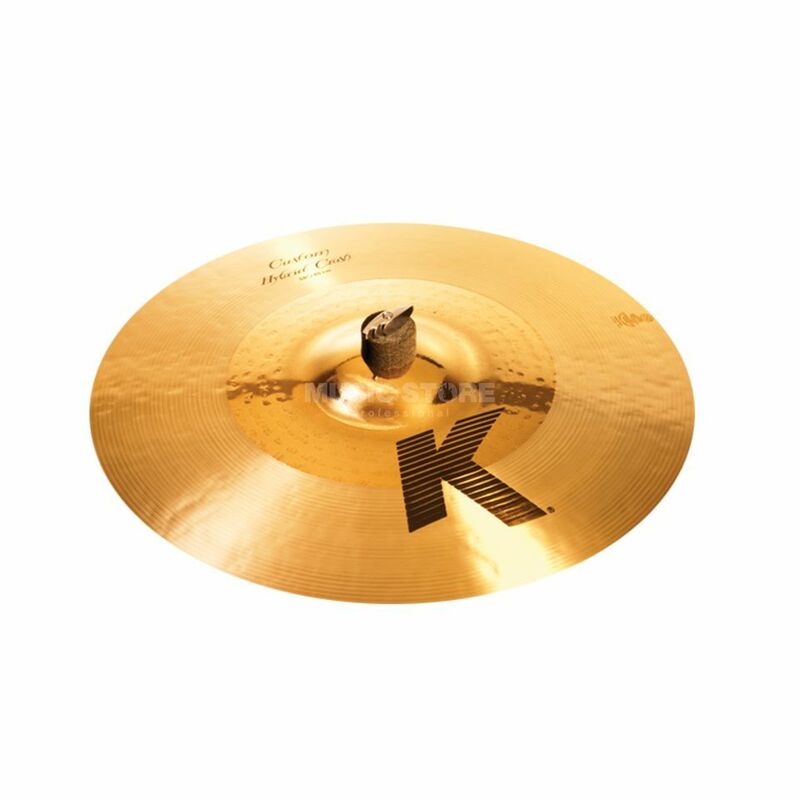 The Zildjian K Custom 18" Hybrid Crash Cymbal Traditional/Brilliant Finish is a 18" hybrid crash cymbal. The K-Custom 18’ is made from a B20 bronze alloy, that is hand hammered, and features a unique sound and harmonics, with a hybrid finish. This cymbal features an un-lathed, buffed centre that provides defined stick attack and a strong tone. An outside-lathed edge increases spread and crashability. This cymbal features a large bell size and medium profile with a mid to high pitch and mid sound. Made from B20 bronze, this ride cymbal features a long sustain and blend balance, and is suitable for a wide range of skill levels and musical styles.